BetSoft’s Pirate 21 release is one of the more interesting blackjack variants available at online casinos. 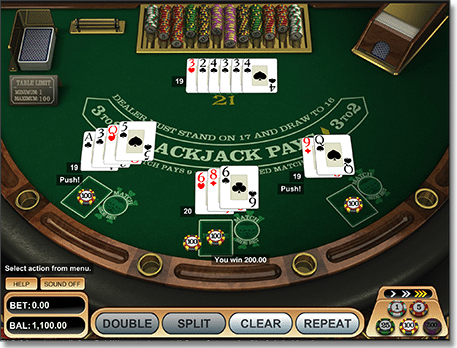 Here, we will explain the rules and the little quirks which distinguish this title from other Internet blackjack games. We’ll also show you the best places for eligible players to play Pirate 21 online for real money. The defining feature of Pirate 21 is that it uses Spanish decks, which contain 48 cards each. These are similar to French decks of 52, except with all 10-spot cards removed (i.e. the ranking skips from Nine to Jack). On the surface, the lack of 10s makes it harder for players to achieve a natural blackjack. However, there are plenty of favourable rules which ensure the house doesn’t have too much of an advantage. For one, players can double down on any point score and on any number of cards. For another, the ‘double down rescue’ rule allows players to surrender even after they have already doubled their bet. Otherwise, BetSoft Pirate 21 plays much like any online blackjack game. The object is to score higher than the dealer, but without exceeding 21 points. Players can bet between $1 and $100 per hand, while the multi-hand layout opens up the option to play as many as three hands at once. Unlike traditional Vegas blackjack games, Pirate 21 offers a range of special payouts for certain hands. You don’t have to make an additional side bet to qualify for these pay-offs – they all apply to your standard initial wager. * Does not pay after doubling down. ** Pays $1000 for bets of $5 to $24, and $5000 for bets of $25 to $100. Does not pay after splitting. 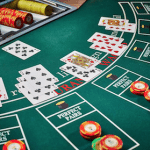 Besides the healthy spread of bonus payouts available, Pirate 21 Blackjack also offers punters a side bet option which pays when either of the player’s first two cards matches the dealer’s up-card. A non-suited match pays 4 to 1, while a suited match pays 9 to 1. In the event that both player cards match the dealer’s, only the highest win pays. 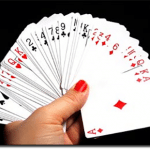 – If one of your initial cards is a Seven of Spades and the dealer is showing Seven of Hearts, the side bet wins at 4 to 1. – If one of your initial cards is a Seven of Spades and the dealer is also showing Seven of Spades, the side bet wins at 9 to 1. – If your initial cards are Seven of Hearts and Seven of Spades and the dealer is showing Seven of Spades, the side bet pays 9 to 1 for the suited match only. Many of our eagle-eyed readers will have noticed by now that Betsoft Pirate 21 Blackjack bares an uncanny resemblance to Spanish 21 and Australian pontoon. With that in mind, let’s see how it stacks up against the popular Spanish Blackjack Gold Series game available at our top-ranked Microgaming casinos. The two titles share most rules in common: they both use 48-card decks with no 10s; both allow doubling at any time, double down rescue, late surrender, splitting up to four hands, resplitting Aces, drawing to split Aces and doubling after splitting; the dealer takes a hole card and always hits a soft 17; and a player 21 always wins the hand. The game-changer here is the ability to double down twice on a single hand. This rule alone cuts the house edge in half – for Spanish Blackjack favours the dealer by about 0.38 per cent, while Pirate 21 comes in at 0.76 per cent. Pirate 21 Blackjack is available for real money play at our most trusted Flash casino sites. These operators offer top-shelf service for online blackjack players, including a range of fast and secure banking options. They are equally well-equipped for Apple Mac and Windows PC, and also offer dozens of mobile casino games for iOS, Android, BlackBerry and Windows Phone devices.